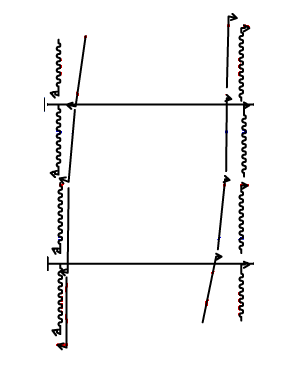 Players line up in two separate lines in opposite corners as shown. Switch corners halfway through the drill so they practice both sides. 1. Players 1 and 3 skate the length of the ice stopping completely where shown, facing the boards and controlling the puck. 2. Players 2 and 4 are applying pressure to the puck carrier while maintaining good defensive positioning - a couple of feet ahead of the puck carrier. Adjusting their speed accordingly not allowing themselves to get too far ahead or behind. 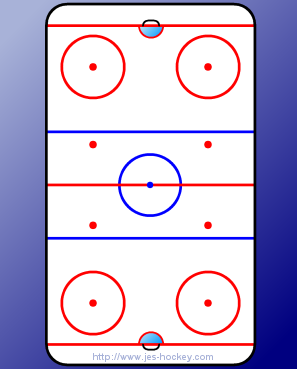 Players switch lines at the other end of the rink and assume the other role. All players need to practice both situations.